"When it comes to my hair, I like to keep it low maintenance." 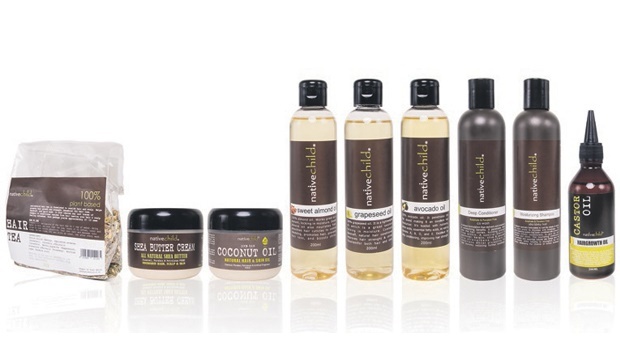 - Phelokazi Mbude tries out the Nativechild natural hair brand products and loves it. When it comes to my hair, I like to keep it low maintenance. I’ve been converted and baptised by natural hair YouTubers into being a firm believer in the liquid oil cream (LOC) method – for which you combine a liquid, oil and cream or butter to moisturise. With its wide range of products, Nativechild is ideal for this kind of routine. It has a 250ml moisturising shampoo and 250ml/500ml conditioner. The shampoo did a great job in clarifying my scalp, there was no need to repeat a wash. Because my hair absorbs a lot of product – graded as a combination of 4c and 4b – the 250ml bottle of conditioner was not nearly enough. If you have thick and long hair, like I do, you might want to get yourself the 500ml bottle. Nativechild has cold-pressed oils, which means the oils have been allowed to retain their natural potency in the production process. For my LOC method, I used the coconut oil, grape seed oil and shea butter.